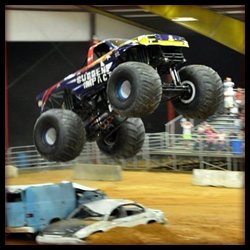 Professional monster truck show, featuring racing and freestyle by top-caliber trucks and more motorsports entertainment! “Durty Dingus McGee” the clown will interact with the audience during the show and Monster Truck Rides will be available on the Bomb Squad monster truck. FREE Fan Appreciation Party for ALL ticket-holders prior to each show–meet the drivers, get autographs and take pictures. Plus, lots of other fun activities. For more information, find Southern Monster Truck Showdown on Facebook or call (985) 748-8283. Tags: Amite, Dirty Dingus McGee, Durty Dingus McGee, Louisiana Monster Truck Jam, Louisiana Monster Truck Show, Monster Truck Event, Monster Truck Events, Monster Truck Show LA, Monster Truck Showdown, Monster Trucks Event, Southern Monster Truck Showdown, Things to do in Louisiana with Kids, Tickets to the Monster Truck Showdown, Where is the Southern Monster Truck Showdown? Join in the fun at the Holly Jolly Christmas Festival takes place at the COPAC Gym in Plaquemine Louisiana in December. Festivities at the Holly Jolly Christmas Festival include face painting, singing carols, dance performances, space walk jumps, arts and crafts, music, and more! 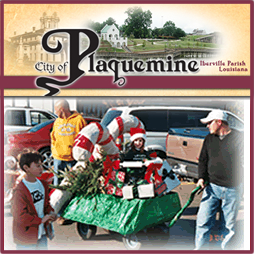 This great family event in the City of Plaquemine features free admission with toys and gifts being distributed. Visit the parade and just have a great time this year at the Holly Jolly Christmas Festival! 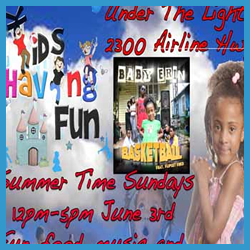 Kid’s Sunday Jamz is a day of fun for family and friends. Open mic for kids, entertainment by New Orleans artist Baby Erin and more. Come on out to this fun New Orleans Event for the Kids. Tags: Baby Erin, Baby Erin New Orleans, Childrens Event in Kenner LA, Childrens Event in LA, Childrens Events in Louisiana, Family Activities in New Orleans, Family Events in New Orleans, Family Fun New Orleans, Find things to do with Kids in New Orleans, June Events for Kids New Orleans, June Events in New Orleans, June Family Events in LA, June Kids Events, Kenner LA Kids Event, Kids Event in New Orleans, Kids Event Sunday in New Orleans, Kids Events in LA, Kids Events in New Orleans this Summer, Kids Events Music New Orleans, Kids Fun in New Orleans, Kids Jam Sunday, Kids Jamz in New Orleans, Kids Sunday Jamz, Louisiana Kids Event, Louisiana Kids Events, Louisiana Kids Events in June, May Events in New Orleans, New Orleans Childrens Event, New Orleans Family Events, New Orleans Kids Sunday Fun, Things to do with Family in New Orleans, What can you do with Kids in New Orleans?